Is this a City owned tree situated on the sidewalk? Yes | Comments: Approximately next to 21 Burgoyne by the public sidewalk. 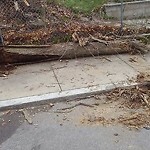 Tree is clearly dead, constituent is requesting removal. Smaller tree, 2 inch caliper, 9 ft tall 4 ft wide about. Is this a City owned tree situated on the sidewalk? Yes | Comments: Tree is hallow. Needs to be removed. Can the Tree Dept inspect the tree outside of this property? I think it might be dead. 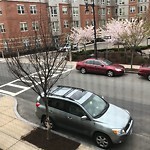 The tree on James O'Neill street has been dead for three years. 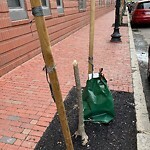 Please remove and replant a new tree. Thank you very much.